Sometimes, excess gum tissue can cover up portions of a tooth that should be visible above the gum line. This can result in a gummy appearance, with teeth that look small or boxy. At Signature Smiles in Woodinville, NY, we offer a wide range of cosmetic dentistry treatments to enhance your smile, including gum contouring for small teeth. Here, our team discusses why some individuals have small teeth and explore this treatment option in more detail. There are many reasons why individuals may have small teeth. Genetics is certainly a factor; if your parents or grandparents have small teeth, you are more likely to as well. Confidence: Individuals with excess gum tissue often feel self-conscious about their appearance. Gum contouring is a good way to achieve a natural-looking tooth-to-gum ratio, giving patients the confidence to smile again. 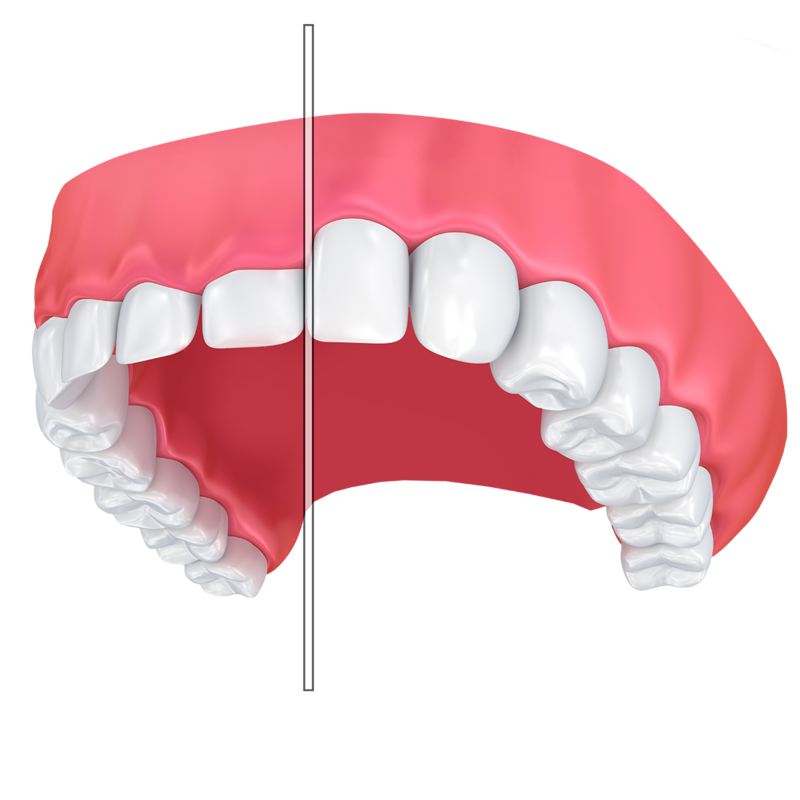 Optimal appearance: The gums should elegantly frame the teeth, rather than be the main focal point. This procedure can bring balance and symmetry to your smile for optimal aesthetics. Better oral health: As an added bonus, many patients who undergo gum contouring can enjoy healthier teeth and gums as well. This is because bacteria can hide underneath excess gum tissue, leading to gingivitis, periodontitis, and other complications. Gum contouring eliminates excess tissue and reduces the risk for infection. Before beginning gum contouring, your doctor will numb the affected areas with local anesthesia. Next, he or she will remove excess gum tissue and carefully sculpt the remaining gum line for a natural, balanced look. This process uncovers the tooth surfaces that were previously hidden by gum tissue, making small teeth appear proportional to the gums and surrounding teeth. We perform the gum contouring procedure using a soft tissue diode laser. This achieves the desired result with less post-operative bleeding, swelling, and discomfort. In most cases, stitches are not even necessary. The entire process can be completed in about one hour at our office. Following gum contouring for small teeth, patients may notice some degree of discomfort or soreness. Fortunately, this can usually be managed successfully with over-the-counter pain medications, such as acetaminophen, ibuprofen, or naproxen. To reduce the risk of discomfort, we recommend avoiding hard, crunchy, or spicy foods for the first week. Additionally, the gum tissue will appear red and slightly irritated for a few days. However, this side effect typically diminishes after the first 24 to 72 hours. You do not have to live with a gummy smile. To learn more about this procedure, or any of the other treatments we offer, contact us online or give us a call at (425) 489-1177.